Self-taught and talented Chef Mérida Anderson released her first cookbook in March called Vegan Secret Supper. It was inspired by her successful underground vegan restaurant (the first of its kind) in Vancouver a few years ago, where she hosted gorgeous, multiple course meals for paying diners in her home. 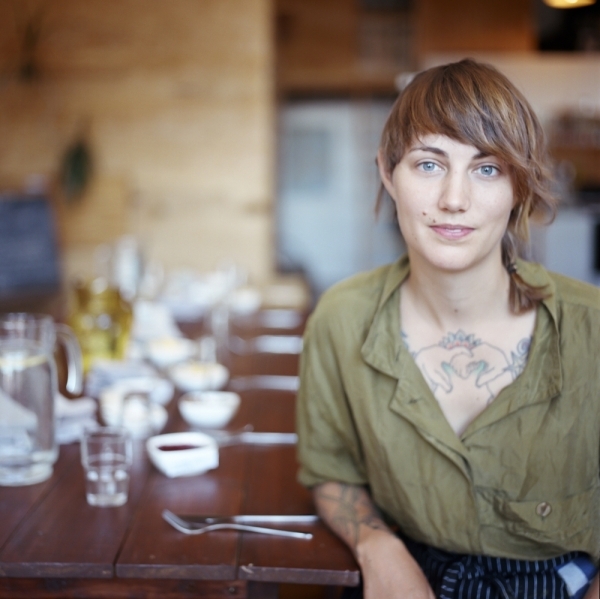 Chef Mérida continues to serve secret suppers in Brooklyn, New York. 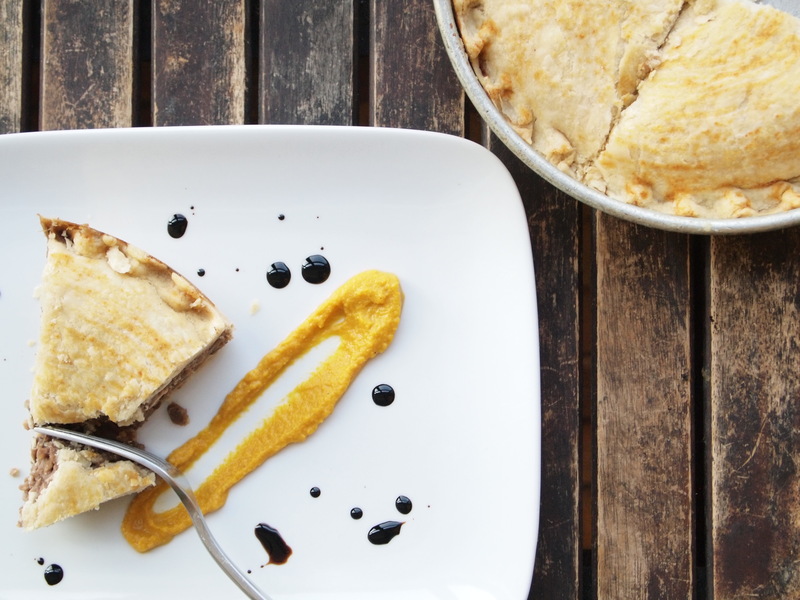 Like she figured out (while humming her favourite tunes, I’m sure) this Lentil Walnut Tourtière with Carrot Tamarind Chutney and Balsamic Reduction. I drooled over this dish, stared at the recipe and got all bothered because I wanted to hum and figure this out, but it seemed too fancy for me to take on without skilled supervision or a confident co-chef. 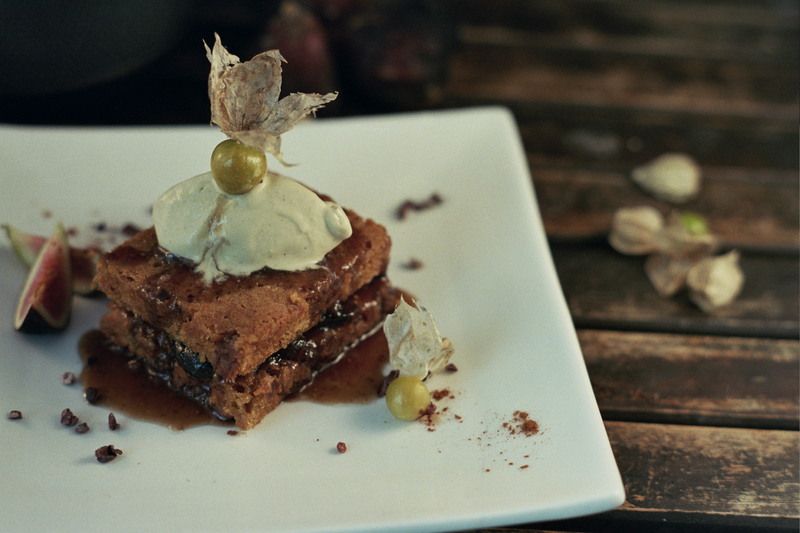 The next day, I tentatively glanced inside the book again and landed on this amazing Carrot Cake with Caramelized Figs, Pistachio Ice Cream and Cacao Nibs. I could see it and taste it, only if I weren’t so budget conscious these days. Sigh. The best I could do from this book is a portion of a dish that included roasted beets with an orange vinaigrette. My modified version was not bad. I think Vegan Secret Supper is great if you’re patient, culinary adventurous and have some spare cash. If you don’t fit here, take a look anyway and marvel at the outstanding possibilities. Perhaps you’d also like to look for underground vegan restaurants in your area. The three secret supper clubs in Vancouver seem to be worth checking out: Plate Invaders ($30 – $40 per person), PlantBase ($20 – $35 per person) and Bring Yer Own Wine ($15 – $30 per person). If you go to one, please fill me in on your experience.